. If you are a whatsapp beta user and have already installed the latest update, you will now find Two-step Verification in the account settings. 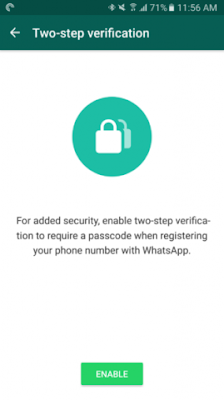 This security feature is very important, so that Nobody will be able to use your WhatsApp Account on another device without your permission. 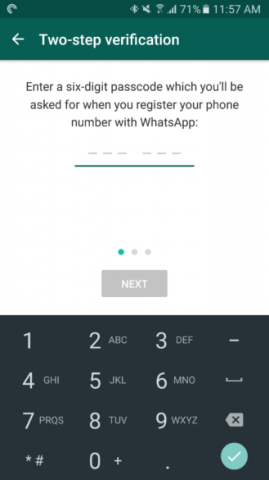 After activating this feature, Each time you try to setup whatsapp on a new device you will need to enter your personal unique 6-digit password. 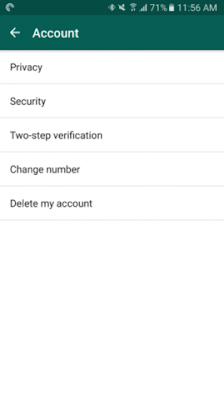 You also have to provide an email address so that you can reset your password if you forget it. Another welcome new feature in WhatsApp is the ability to play audio messages in the background. Previously, it was necessary to remain in the application, to fully listen to new audio message received.